Even though the players never get off the bench, it’s clearly game on for professional video gaming. This trend was on display this past weekend at the The International DOTA 2 championships tournament in Seattle, Washington, where 16 teams competed to win $10.9 million in prizes. Production quality rivaled a Beyoncé Concert, and Key Area (where the SuperSonics used to play) was packed from floor to rafters with devoted fans, commentators, and members of the press. The events were also streamed live to more than a million people riveted to their computer screens. 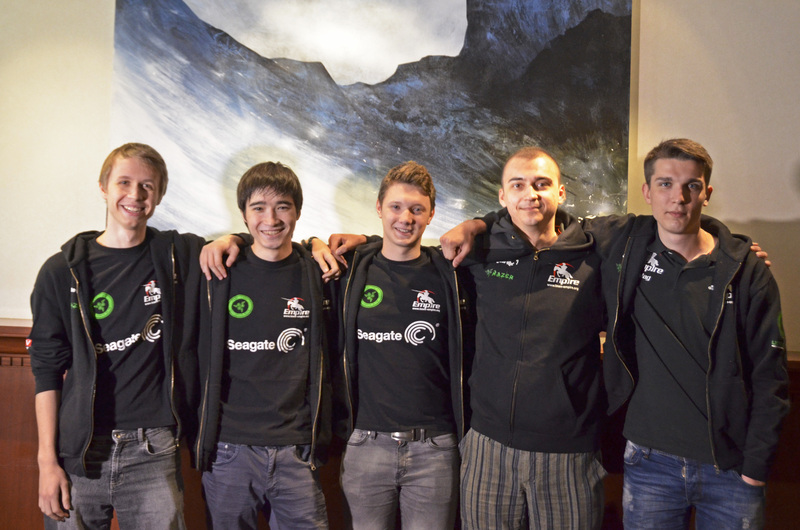 As part of Seagate’s support for the gaming community, we sponsor one of the competing teams, name Team Empire. The five members—hailing from the Ukraine and Russia—and are known for their explosiveness and penchant for causing mayhem. They are considered one of the finest eSports teams in the world. Despite their fearsome reputation and 2014 winnings totaling nearly $150,000, Team Empire failed to make the playoff round at this past weekend’s The DOTA 2 International tournament. We caught up with Team Empire and talked with a disappointed but unbowed Ivan Skorokhod, AKA Vanskor. SeagateCreative: How long have you been a gamer? Vanskor: For all of my life—since I was a baby. But seriously—since 11 or 12 years old. I’ve been a professional gamer for two years. S: How do you train for eSports? V: Play a lot of popular games, practice with teams—that’s your way to victory. S: How do you expect to see eSports changing over the next few years? V: It’s changed a lot this year, next year more and more. Prizes will grow, audience will grow, everything will grow. 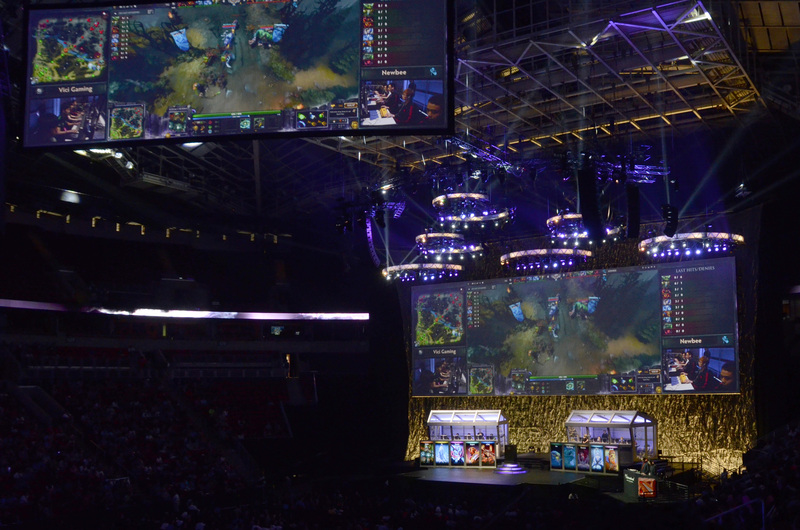 eSports will be like big sports: football, basketball, and others. S: What role does digital storage play in gaming competitions? V: Quite a bit. On the one hand, your hard drive has to be fast, but on the other hand, capacity is very important. When your game crashes, you have to be able to reboot and relaunch the game as quickly as possible, because the rules limit pause time. That’s primarily why speed is important for pro players. But we also need high capacity to store replays, videos etc. So, a combination of these two factors is the most important for pro gaming. S: Do you have any advice for someone who wants to become a professional gamer? V: Just practice a lot—a very lot. Professional teams go looking for new talent, and they will find you. S: What are the challenges in becoming a professional gamer? V: You must turn down lots of opportunities. If your friends call, sometimes you have to let them down. You must sacrifice. It takes a lot of time, force of will, etc. People will say that you’re wasting your life. But if you’re wasting your life properly, it will bring good things to you.